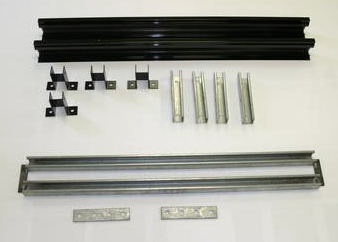 SolarSheat Single Adjustable Angle Roof Stand Kit 43.5"
SolarSheat single adjustable roof mounting system is required when mounting a SH1000G or SH1500G on a roof and the pitch of the roof is less than 45 degrees. Use with Wall Mount. (Wall Mount is supplied with each SolarSheat Complete System). Kit makes roof installation easy.